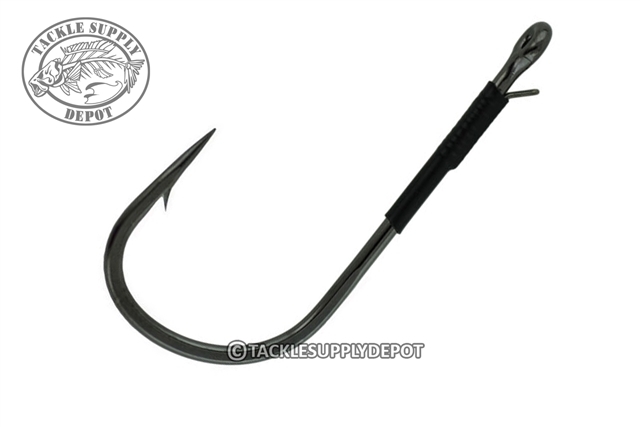 Building on 2011's success of the Heavy Cover Worm Hook, Gamakatsu added the new Super Heavy Cover Worm Hook to create an exciting and versatile series for 2012. The Super Heavy Cover Worm Hook is indestructible with a welded eye and extra heavy duty cold-forged hook wire that will not flex. It's perfect for flipping into heavy cover or punching through thick overhead cover. The addition of an oversized barb holds hooked fish solid and the punch wire/keeper firmly secures worms so they stay rigged cast-after-cast.